I received a PhD in Applied Mathematics from Brown University in 2001. I was a postdoctoral fellow and visiting professor in the Department of Statistics at the University of Chicago from 2000-2001. After that, I was an Assistant Professor (2001-2008) and then Associate Professor with tenure (2008-2010) of Biostatistics at the University of Chicago. I am currently a Professor of Applied Mathematics and a courtesy Professor of Economics at the University of Colorado at Boulder. My main research interests are in Bayesian modeling, inference, and computational statistics, with applications to a wide variety of fields, ranging from medicine and ecology to risk and insurance. August 2017: Prof. Dukic receives a courtesy appointment as Professor of Economics at CU-Boulder. August 2015: Prof. Dukic becomes a Fellow of the American Statistical Association. August 2014: Our paper Predicting multivariate insurance loss payments under the Bayesian copula framework has just been awarded the 2014 CAS ARIA award! June 2014: We have just received additional funding from EPA to study the effects of cookstove pollution in Ghana with NCAR and NHRC. For additional press coverage, see ClimateWire article, Be Boulder article, and Daily Camera article. June 2014: Our student, Yuanting Chen, has just defended. Congrats Yuanting! February 2014: Our student, Stephen Kissler, has won the prestigious Gates Cambridge Scholarship for PhD work at Cambridge University. Stephen has won the scholarship partly based on his work on climate and meningitis in Nigeria. Congrats Stephen! February 2014: Our Bulletin of the American Meteorological Society paper on climate and meningitis is out. Spring 2014: Our Weather, Climate and Society papers on climate and meningitis and climate change and meningitis are out. September 2013: Our Epidemics paper on smallpox is out. September 2013: Dr. Dukic is the CU-Boulder PI on a new NSF Award with LSU and Penn State, on Bayesian hierarchical approaches to epizootic dynamics. One of the goals of this research is to improve the use of baculovirus-based biological insecticides. March 2013: Our Physical Review E paper on simulation of multivariate distirbutions is out. January 2013: Our PLoS ONE paper on the spread of MRSA in the US is out. 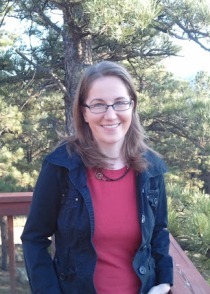 September 2012: Dr. Dukic is the CU-Boulder PI on a new NSF Award with NCAR. More can be found out at Coupled Natural and Human Systems network. For additional preses coverage, see the US Department of State news release, or NSF Discovery news release, or NCAR news release. September 2012: Our JABES paper on meningitis is out. August 2012: Our JASA paper on Google Flu Trends is out. September 2011: International Innovation Interview: “Removing the smokescreen” (page 22-24), on biomarker calibration. May 2011: Interview with Wired.com about IP surveillance of MRSA. December 2009: Interview with Chicago Tribune about IP surveillance of flu. Aug 2014: Dr. Hagar and Dr. Dukic will give invited talks at JSM 2014. July 2014: Dr. Dukic will give an invited talk at BIRS. March 2014: Dr. Hagar will represent the group and give an invited talk at ENAR 2014. Jan 2014: Dr. Hagar will represent the group and give an invited talk at MCMSki 2014. September 2013: Dr. Dukic will give an invited talk at the University of Houston. June 2013: Dr. Dukic will give an invited talk at BISP8. June 2013: Yuanting Chen will represent the group and give an invited talk at WNAR at UCLA. April 2013: Dr. Dukic will give an invited talk at the University of Toronto. Original website design by John Foley.